To register to the TPC meeting in Warsaw please send us a direct message with your name and confirmation of attendance (kf@agh.edu.pl). The easiest way to Cezamat from the Warsaw Central Railway Station is by taking a TAXI. Please use only “regular, authorized taxies”. The distance is about 3,5 km and the average price is about 40 PLN (day)/60 PLN(night). After leaving the Central Station go to the local trains station “Śródmieście”, there should be direction sign that will guide you there. Then you should buy a 75-minute ticket, you can do that at the ticket machine located on the train station (cash or credit card) or directly on the “S” line trains (only) via its ticket machine (credit card). Then you should board “S2”, “S3” or “RL” train with “Warsaw Chopin Airport” destination. This is also your last stop. Bus station is very close to the train station at the airport use direction signs to find it. From there you should board bus 148 (all day) or 331 (only during work arrival time 6 – 9 or work leaving time 14 – 18). Both buses stop at “Poloneza” stop. It is a stop on command, so you should press the button in the bus for that stop, check the stop list inside the bus, listen to the played information or ask the driver. The whole ride form the Warsaw Central Railway Station to this point takes approximately 40 minutes. When you get off the bus Cezamat is right in front you. The entrance to CEZAMAT is from Poloneza Str. To find the entrance you go ahead and get across the Poloneza Str. Then, turn right and after a short walk (approx. 100m) the entrance is on your left. The airport is very close to Cezamat and transportation is very simple. The first thing to do is find your way to the bus station using airports direction signs. Then you should buy a 20-minute ticket. You can do that at the ticket machine located on the bus station (cash or credit card) or directly on the bus via its ticket machine (credit card). Then you should board bus 148 (all day) or 331 (only during work arrival time 6 – 9 or work leaving time 14 – 18). Both buses stop at “Poloneza” stop. It is a stop on command, so you should press the button in the bus for that stop, check the stop list inside the bus, listen to the played information or ask the driver. The ride takes approximately 9 minutes. When you get off the bus Cezamat is right in front you. The entrance to CEZAMAT is from Poloneza Str. To find the entrance you go ahead and get across the Poloneza Str. Then, turn right and after a short walk (approx. 100m) the entrance is on your left. 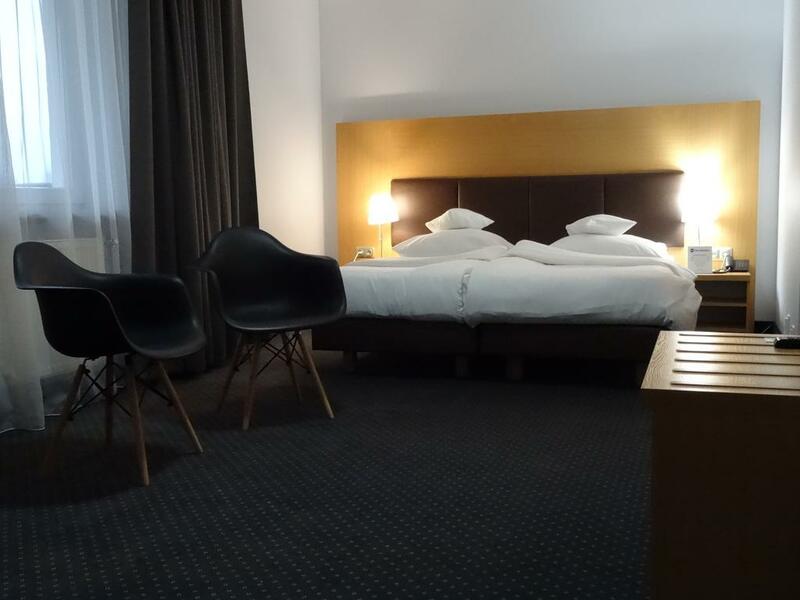 A selection of hotels with rooms available at reduced rates for the ESSDERC/ESSCIRC TPC Meeting 2019 participants will be posted. Spring and summer time is a very busy tourism time in Warsaw and we highly recommend you secure accommodation as soon as possible (till 15th of April 2019!!!). Please, book your hotel directly. Recommended hotels are below. The modern, 3-star Hotel Pulawska Residence is located in Warsaw, a 15-minute drive from the city centre. It offers spacious rooms with a flat-screen TV with satellite channels.All rooms at the Pulawska Residence are decorated with warm tones and wooden furniture. Each comes with a private bathroom and a small kitchenette with a refrigerator. Guests can relax in the on-site sauna or enjoy a workout in the fitness centre. Front desk staff is available 24 hours a day and can arrange shuttle service. The hotel also has paid underground parking. A buffet breakfast is served every morning in the hotel restaurant, Liwia, which offers international and Polish dishes. The lobby bar serves a wide selection of drinks and snacks. 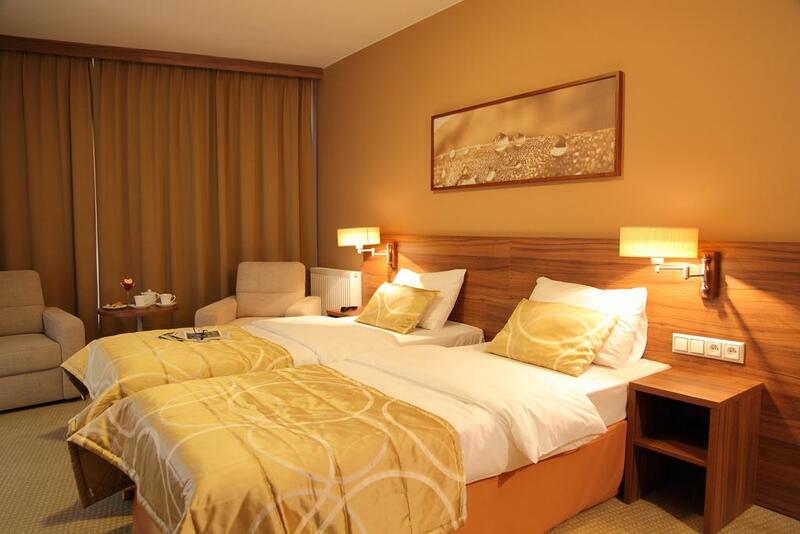 Hotel Pulawska Residence is located within a 10-minute drive from Warsaw Chopin Airport. The Stokłosy Metro Station is a 20-minute walk away. There is free public parking outside the hotel or underground garage available at an additional fee. 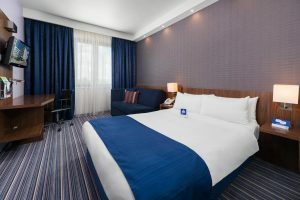 Holiday Inn Express Warsaw Airport is located an 8-minute drive from the airport and offers elegant rooms with free Wi-Fi and a private bathroom with heated floors. There is a 24-hour front desk service. Each room at the Holiday Inn is air-conditioned and includes satellite TV. There is also an electric kettle and a safety deposit box. The hotel offers a breakfast buffet, served every day in the dining room. Drinks can be enjoyed in the bar, as well as warm dishes in the evening (between 6 pm – 11 pm). Holiday Inn Express Warsaw Airport can arrange a free airport shuttle service. It is situated 3 km from the Stokłosy Metro Station. Best Western Hotel Poleczki is a complex located a 5-minute drive from Frederic Chopin Airport and offers bright rooms with free wired internet. There is a 24-hour front desk service. Each air-conditioned room at Poleczki includes an LCD TV and work space. There is a private bathroom with shower and free toiletries. Tea and coffee are also provided. Best Western boasts a restaurant, serving breakfast buffet every morning. International dishes with vegetarian options can also be enjoyed. Best Western Hotel Poleczki is situated 2 km from the Stokłosy Metro Station. The centre of Warsaw is a 20-minute drive away.